The Chinese have a long and rich history in Australia. In the early 19th century small groups of migrants were given jobs as labourers and domestic servants. The number of arrivals soared in the latter part of the 1800s thanks to a gold rush in Australia coupled with a widespread famine and social unrest in China. Life for these pioneers in a strange land was extremely challenging. Chinese settlers were often the victims of racism and violence at the hands of European miners, angry at so many Asian faces in the goldfields. This discrimination continued at an official level, with colonial governments restricting further immigration from China. It led to a long-term decline in the Chinese community in Australia. In the past 30 years, however, Australia has been far more welcoming. 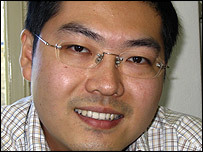 Henry Wong, the General Manager at Manly council in Sydney, said the Chinese had become a vital and vibrant part of Australian society. "The Chinese are an inventive lot and they are fairly resilient and pretty determined to succeed," he said. "They see hardship as a necessary part of character building. As migrants in a foreign country they had to survive, and the only way to survive is to do better than the locals and to make a mark through hard work," he said. Henry Wong is an Australian citizen. He was born in Hong Kong, moved to Australia from Britain in the mid-1970s and is fiercely proud of his Chinese heritage. "My nationality is Australian, I think like an Aussie," he said. "But deep down when you get to those things that make up who you are then the Chineseness takes over. "Even though I was not born in China, we do not forget our roots and where our ancestors were raised," he said. Associate Professor Hans Hendrischke from the University of New South Wales believes that a sort of innate pride has given migrants from China great confidence. "Chinese in the diaspora here feel they benefit from the strong international position of China," Professor Hendrischke said, "and from the expectation that China will continue to grow in importance." China sees Australia as an important trading partner and a reliable supplier of raw materials and energy. The development of these close economic ties is due in part to the expertise of Chinese expatriates able to bridge the gap between the two cultures. "When these migrants come to Australia (from China) there is not too much difference between them and us," explained Michael Jones, the President of the Australia-China Chamber of Commerce of New South Wales. "Their goals and their attitudes are very Western." 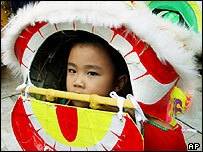 The Chinese have become one of the fastest growing overseas-born communities in Australia. In 2004, just over 11,000 Chinese settlers arrived here - around 10% of the total. According to the latest census, about half a million Australians identify themselves as having Chinese ancestry. The original settlers in the 19th century mostly came from a few counties in Guangdong Province. In the 1980s there were waves of business migrants from Taiwan and Hong Kong. Since 1989, the largest inflow has been from the People's Republic. There is a concern that some new arrivals do not always make much of an effort to mix with the locals. "There is a debate as to whether they integrate in a way that the Italians or eastern European migrants did in the past," said Michael Jones. "There is a feeling in certain quarters that the Chinese are a little bit ghetto-ish and they tend to mix with their own people and use Australia as a base for their business activities back in China. "It's too early to make a judgement on that. We have to wait and see what future generations do." The very visible face of the Chinese in Australia can be found on university campuses across the country. Like many immigrants and Australian-born Chinese, many students display an unbreakable pride in their homeland. 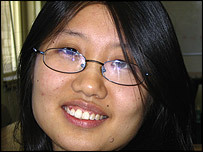 "I need to do very well here to show that China is a great nation," 26-year-old Su Wong from Beijing said. After two years at Sydney University, she recently graduated with a Masters degree in commerce and international business. "I hope to use what I have learned here, how companies work and how people do things," she said. "It will be very helpful if I go back to China to help my country to develop its economy." Fellow student Lin Lin agrees. "The government wants us as young students to go to the western countries to learn," said the 21-year old undergraduate from northern China. "They want us to get different experiences and then to go back and help our home country grow up." Hui Zheng has been studying finance in Sydney for the past five years. Even though he is far from home, he too feels the weight of responsibility. "If you are living overseas you represent your country. Every Chinese - his thinking, his talking, the way he acts - represents the whole one billion people," said the 28-year-old PHD student. "I think it means more to be a Chinese when you are overseas than in China," he said.